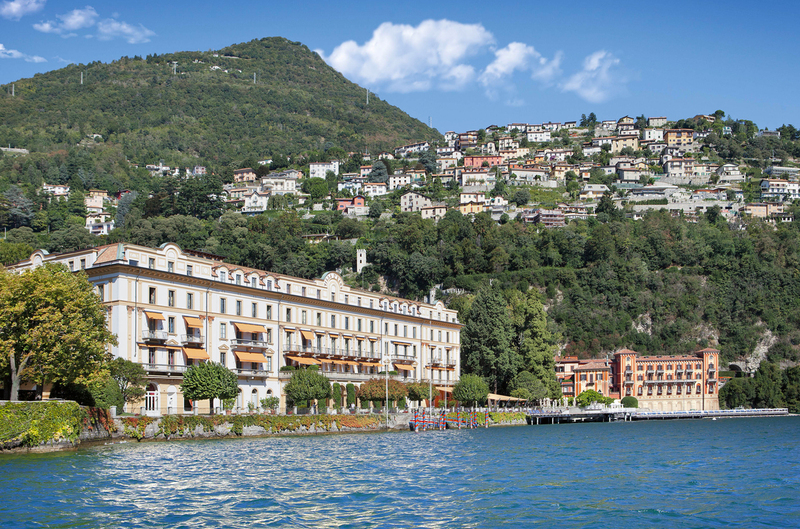 Located on the shores of Lake Como, one of the most romantic settings in the world, Villa d’Este is surrounded by 25 acres of enchanting park with centennial trees, statues and colorful flowers. Built in 1568 as the summer residence of Cardinal Tolomeo Gallio, it was transformed into a luxury hotel in 1873, becoming a favorite destination for the European aristocracy. Today Villa d’Este is a magical place celebrated all over the world. The exceptional service, attention to detail, warmth of the staff and unmistakable style make Villa d’Este an internationally recognized icon of the hotel industry and a beloved destination by its guests. The 152 rooms, divided between the Cardinal Building and the Queen’s Pavilion, are all unique. Each is furnished with antique furniture in the Renaissance style and equipped with every modern comfort. Every winter, during the closing of the Hotel, rooms are refreshed. "There is no doubt about it, The Wonderful ambience of Villa d'Este makes it the number one place to visit for a most fashionable clientele." The four private villas, located within the park, offer all the services of the Hotel combined with the privacy and exclusivity of a private villa. Villa d’Este offers its guests many exceptional services: Restaurants, bars, banquet rooms, boutiques, a coiffeur, the Chef’s garden, a refined Beauty Center and the Sporting Club including gym, sauna, tennis courts with lake view, jogging path, pools, as well the renowned floating pool on the lake. In addition to electronic golf and putting green on site, enthusiasts can visit Golf Club Villa d’Este, just 12 km from the Hotel. The magnificent gardens surrounding Villa d’Este represent one of the most harmonious and evocative examples of Baroque scenography of Lombardy and Italy. However, in the ten acres park there are also other styles: Renaissance, picturesque and romantic. The countless varieties of plants make it a genuine botanical garden. Therefore, every season has individually brilliant scents and colors. The park is part of the Great Italian Gardens, an association which gathers the most significant botanical treasures of Italy. "I ask myself is this a dream, will it vanish into air?" Villa d’Este has always been considered among the best luxury hotels in Italy and in the world: discover our prizes and awards.